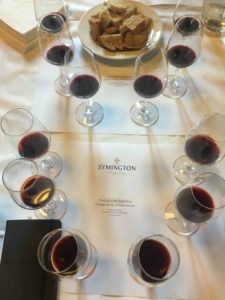 The annual port wine festival in Copenhagen, arranged by Henrik Oldenburg, was this year visited by well-known Dominic Symington from the Symington Family Estates. 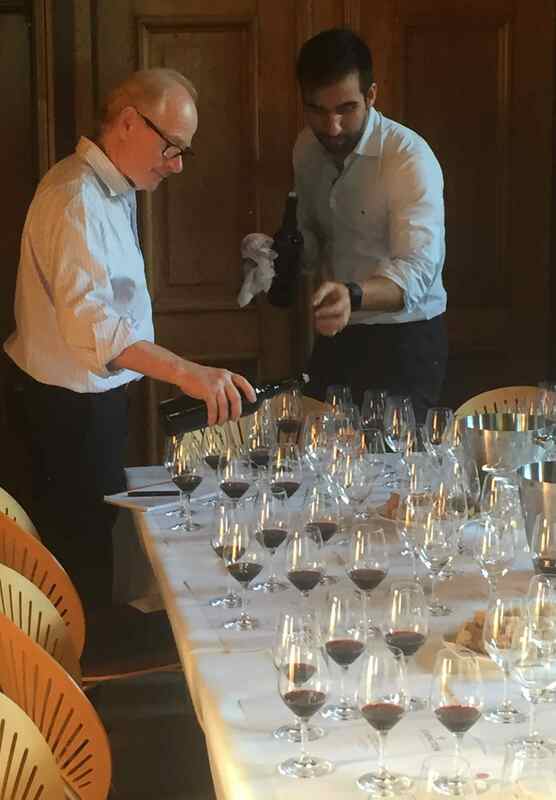 Dominic arranged, with help from Gustavo Devesas (Market Manager at the Symingtons) a tasting to show that the terroir and micro climate of the quintas in the Douro valley are very different. By tasting six of the Symington Single Quintas we could all see the difference between Quinta da Cavadinha, Quinta do Bomfim, Quinta dos Malvedos, Quinta dos Canais, Quinta da Senhora da Ribeira and Quinta do Vesuvio. To understand the differences better we tasted all of these quintas from both 2001 and 2010 to also see the maturation aspect of the different terroirs. Dominic talked about the work the Symingtons are doing to improve the quality in all of the quintas using modern technology combined with their long experience. The harvest can for instance be done in a more optimal way by investigating how strong the vines are throughout the quinta and then harvest different parts of the quintas at different days for perfect grapes. In the open tasting we could as usual taste quite a lot of interesting Vintage Ports. There were several mature Vintage Ports from some of the importers. We were as usual impressed by the range of mature Vintage Ports from Vintageportvin.dk, and we could taste a lot of mature Vintage Ports from the Symington houses Smith Woodhouse and Gould Campbell from the vintages 1977, 1980, 1985 and 2000 and also Quarles Harris from 1977. From these the 1977, 1980 and 1985 are really impressive and peaking today and the 2000 is also nice today but it is a perfect investment for the cellar. We could also taste Warre’s Vintage Port from both 1980 and 2000 at the Kjaer Sommerfeldt table, both really good. We would like to thank Henrk Oldenburg, Dominic Symington, Gustavo Devesas and all Danish importers for an enjoyable festival and hope to see you all again soon. This entry was posted in Tasted Vintage Port, Wine tasting and tagged Dominic Symington, Gustavo Devesas, Port Wine Festival, Symington on November 23, 2016 by Stefan.